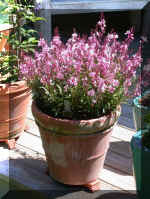 `Pink Lady’USPP# 17494 Pride of Place Plants Inc.
Just when you thought your garden was filled with distinctive Gaura’s, along comes the unique and beautiful `Pink Lady’. A compact, tight, front of the border beauty with blossoms having the soft effect of pink lipstick blotted on white tissue. 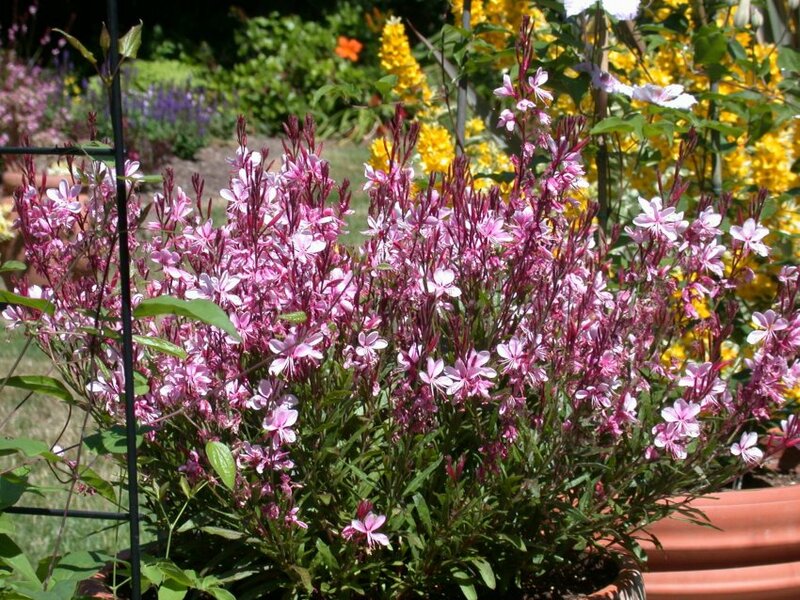 Instead of the normally long, arching “wands” of floral display, this tidy plant keeps it’s blooms just above the foliage for a long summer season of color. 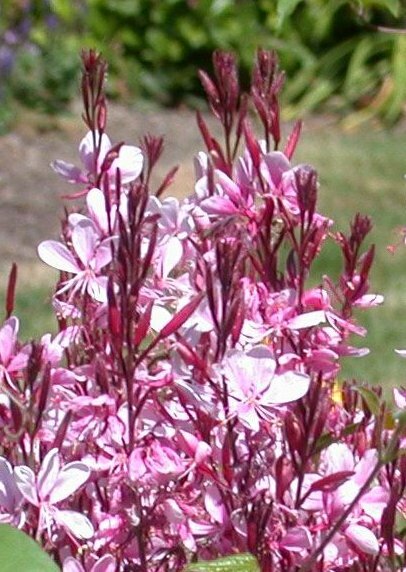 Discovered in the gardens at Siskiyou Rare Plant Nursery in 2001, this is a great garden or container complement for Gaura l. `Crimson Butterflies’. 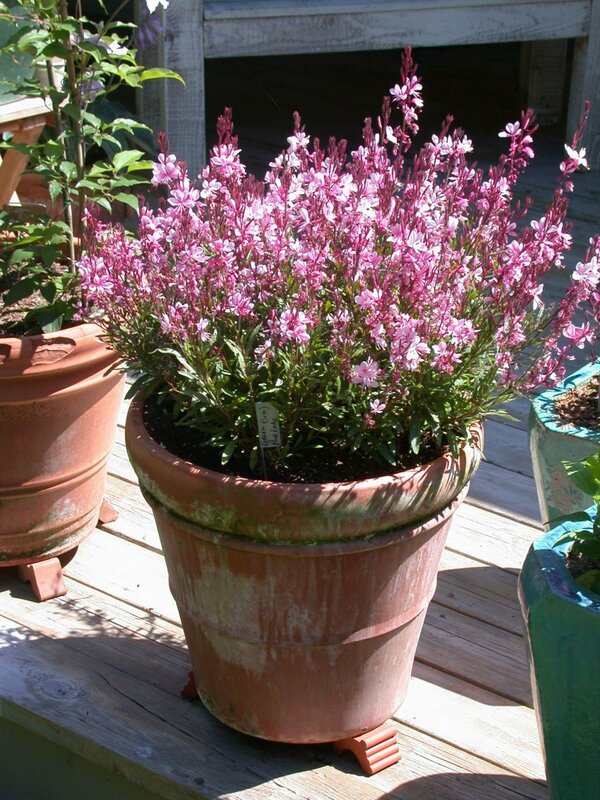 Prefers full sun and any well-drained soil. Drought tolerant once established. Zone 5-10.